The allegations of an Irish black market in Olympic tickets scandal has spread further with six members of the Irish Olympic Council ordered to hand in their passports and appear for questioning by Brazilian police. Police showed up at Irish Olympic headquarters at the weekend in search of named individuals and documents. 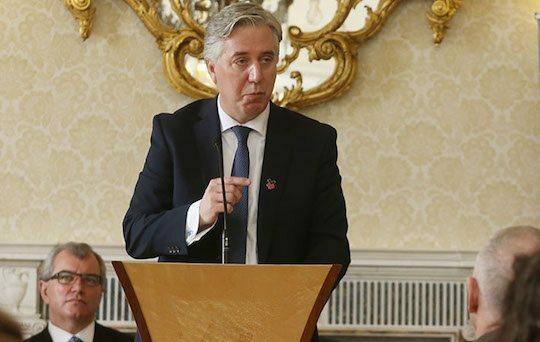 Among those named is high profile John Delaney, head of the Irish Football Association and Vice President and likely successor to jailed IOC President Patrick Hickey. However, Delaney has departed Rio for Ireland before the police raid took place and it is unclear if he will be forced to return.At the weekend Brazilian police raided the Irish Olympic Council offices and took phones, documents, computers and an unknown number of Olympic tickets that IOC members insisted were for athlete’s families. 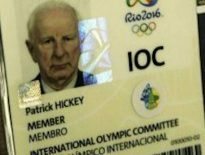 IOC and European Olympic Chairman Pat Hickey was arrested last week after fellow Dublin native Kevin Mallon, an executive of THG a ticket firm Hickey has had contact with, was arrested scalping tickets at a posh pre-games reception hosted by THG in a Rio hotel. The police surveillance began after Romário de Souza Faria (known as Romário), a famed former footballer and now a member of parliament, had expressed concern before the games that ticket scalpers would leave ordinary Brazilians unable to afford attending the games.He had attended the London games in 2012 where suspicion about Pat Hickey and Irish ticket touting had been made clear to him. He informed Brazilian police who were monitoring Hickey and associates when they got to Rio. Hickey was arrested in a dramatic dawn raid on his hotel on Tuesday last and jailed on remand. Insiders say many of the valuable tickets were traced back to the IOC. Claims that a $2.5 million profit was made on the tickets which were being sold at 200 times face value have been made. Hickey and Mallon now face potential jail time and are held in the same cell in Brazil’s most high security prison. “Early this morning in Rio, Brazilian police arrived at the OCI offices in the Olympic village and at OCI accommodation outside of the village. 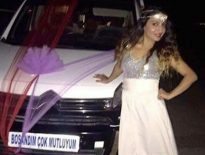 “They were met by OCI personnel. No arrests were made.